GeoScience Software was founded in 1989 on the basic premise that an efficient solution requires a good understanding of the problem. With a long and successful track record in all facets of petroleum exploration and development, we understand the problems. GS is the solution. Powerful technical tools that are readily accessible to the full range of technical expertise. 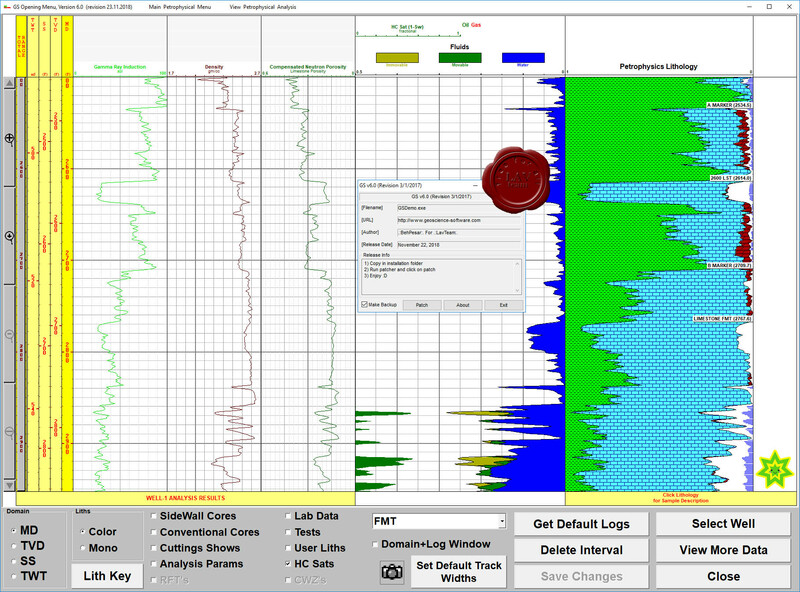 As professional petroleum explorationists, we had long recognized the need for powerful, yet easy to use geotechnical software. We didn't see the need for tortuous menu systems, large up-front costs, other major continuing costs, perpetual training, the inevitable entourage of IT support staff, etc. Neither did we wish to become dedicated specialists in the operation of a computer program, or servants to a computer department. GS was developed by geo-technical professionals, NOT specialized computer programmers with no practical experience in the challenges facing general geologists, geophysicists, and engineers in finding and developing hydrocarbon reserves. GS is a fully integrated PC-Windows based geological system whose primary features include interactive well correlations, cross sections (including raster log images), comprehensive petrophysical analyses, Pore Pressure and Fracture Gradient prediction, FIT Pressure Analysis, single or multiple well dipmeter interpretation, integration of mudlog data, seismic synthetics, quick mapping, and detailed composite log design. The GS interface has a centralized GIS theme utilizing ArcView/ESRI software controls.